The Kansas City Irish Fest Genealogy area 2015. We want to thank ancestry.com for their wonderful donation to this year’s Irish Fest. Lauren Carver (@mrswinchester6) and Annie Wallace (@WaitressRN) each won a year’s subscription to Ancestry’s World Edition. We had entries from 15 different states this year! We had 8 computer stations with a volunteer who helped families look for their ‘roots’! 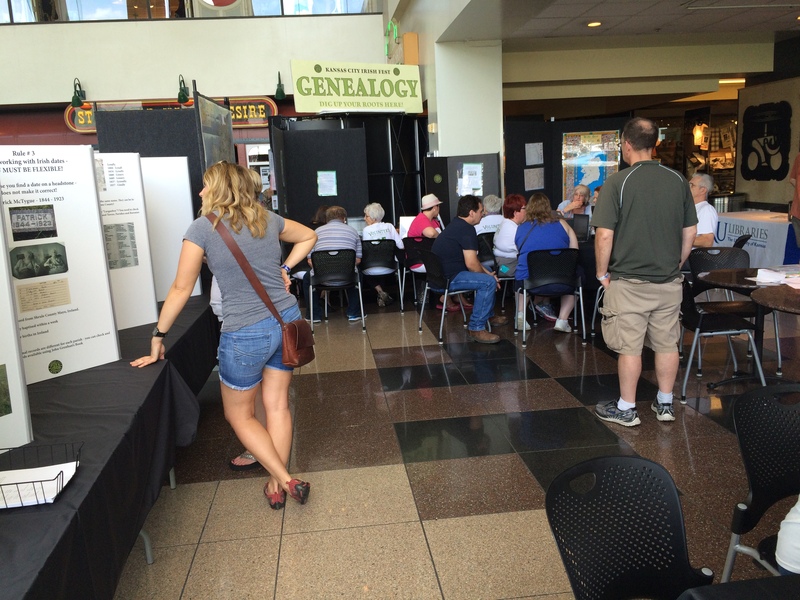 The genealogy area is inside the Crown Center Atrium – so the heat or rain does not bother us!